There is nothing like the smell of lime and ginger wafting from my diffuser to give me the energy boost I need to make Monday a happy space! Diffusing essential oils can literally change the energy in a room on a physical and emotional level. Essential oils (well, the pure ones at least) can clean the air. Oils like Clove, Cinnamon and Rosemary purify the air and are fantastic to diffuse if you have sickness in the house. dōTERRA have a blend called On Guard which has all these oils in the blend and I diffuse this every single night in the children’s bedrooms as they sleep. They breathe in the oils which help to build up their immunity as they sleep and the air is freshened as well. Win, win. Diffusing oils can also change the emotional energy in the room. 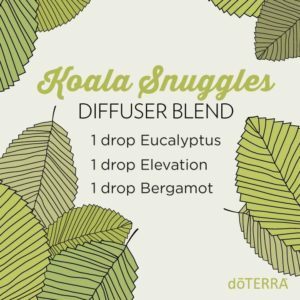 I used a diffuser blend called Koala Snuggles early on in my oil journey. The oils are the “happy oils” and there was zero fighting that morning- I kid you not. I thought it was a fluke and tried it again- it worked again. The emotional energy went from fractious to peaceful thanks to the oils in the blend. I was reminded of how much I take the clean, potent and powerful smells that come from my diffuser for granted when I walked into a craft store last week. As I walked through to the fabric section I passed the kitchen area where the candles and air fresheners were sold. It was literally an assault on my olfactory senses! It was disgusting. The toxic smell grabbed the back of my throat and I could almost taste the chemicals. Air fresheners are one of the leading causes of introduced chemicals and toxins into the home. 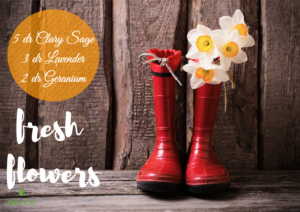 A clean home should smell of …. nothing. It’s clean and clean has no smell. We think clean has a smell as all the cleaning products that are pushed onto us have a smell. But if you clean with vinegar and bicarb of soda you will see that clean has no smell. So if I introduce a smell into my home I do NOT want it to add any more toxins, I want it to be clean and pure. 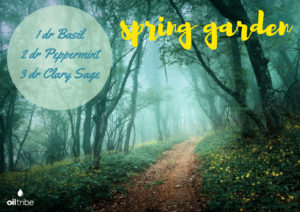 As I write this I have a Fresh Spring Citrus blend diffusing and it smells delicious. Essential oils are naturally anti-microbial and so the oils are freshening the air and the smell is not grabbing me by the back of the throat! I change up the blends in my diffuser to suit the seasons. Right now it’s Spring in the southern hemisphere- it’s a season of hope and freshness. 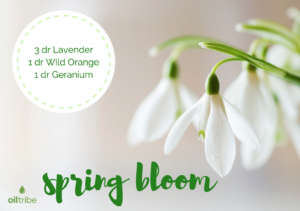 So that’s what I want in my diffuser, clean, fresh and smelling of Spring. 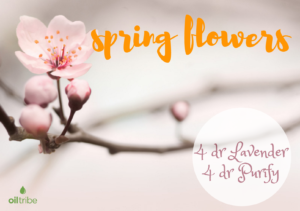 Here are a couple of diffuser blends for Spring that I think you’ll love….